Squatting is one of the fundamental exercises which builds muscle and supports strength gains. This compound movement will work your entire lower body as well as your core and many stabilizing muscles. There is no doubt that squatting has a lot of benefits and it should be included in any workout regimen. Yet, so few people don’t squat because of various reasons – one of them being back and shoulder pains. Using a barbell pad can solve this issue really quickly. 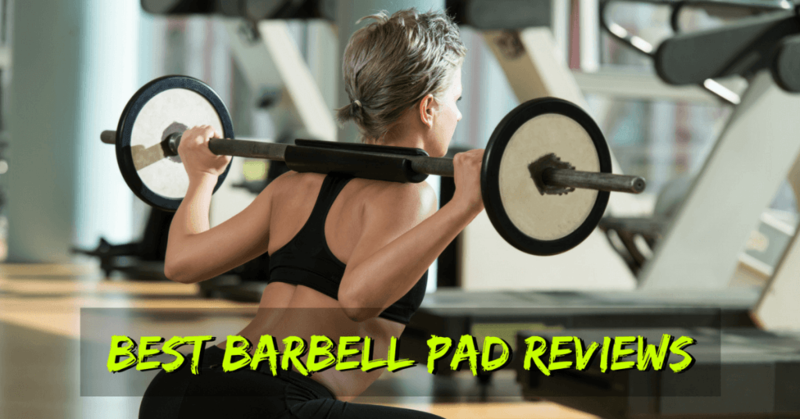 What Is a Barbell Pad? What to Look for When Buying a Barbell Pad? Should You Buy a Barbell Squat Pad or Not? This is primarily a squat pad, but it can also be used for lunges, hip thrusts or any kind of cross fit powerlifting for that matter. The Dark Iron Fitness brand is relatively new, but they are getting a lot of traction and we have seen many people using their products. Their “Extra Thick Neck Pad” can add a lot of comforts when squatting, even if you go really heavy with the weights. The product can be bought with slightly different designs and messages that are written on the pad, such as: “Shut up and squat”, “Drop it like a squat’, “I love squat days” which are pretty cool. This pad is 80% high-density foam and 20% polyester (polyester covered) and it uses a Velcro closing. 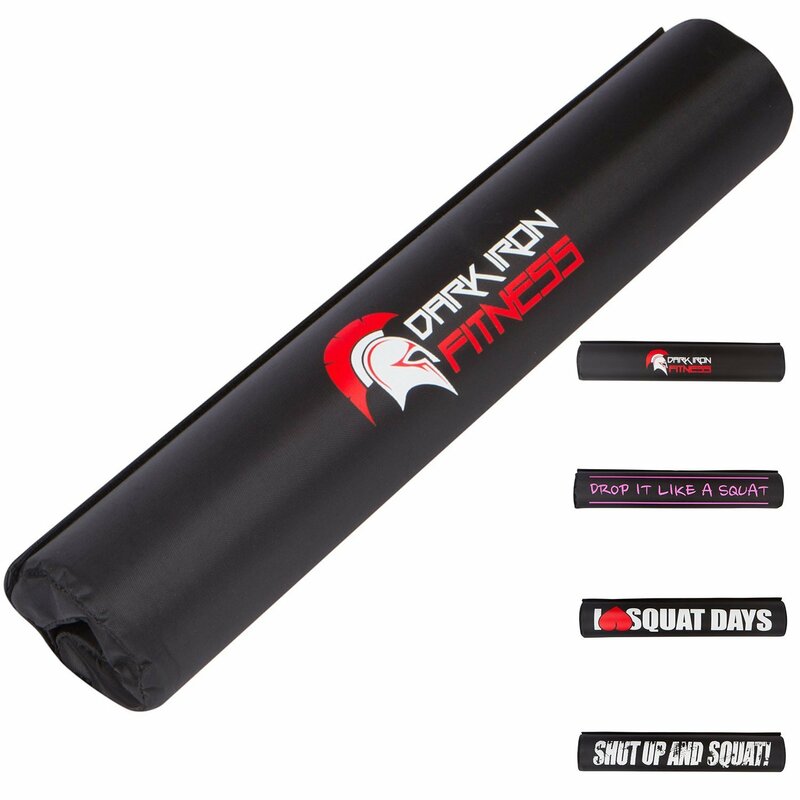 The guys over at Dark Iron Fitness will offer a lifetime replacement guarantee if you register the product on their website, which is great post-sale support. If you like to squat really heavy and love cool designs, this barbell pad might be just the right product for you. This is a neck indentation barbell pad which makes it designed specifically for squatting. Even though it is not as thick as the Dark Iron Fitness one, the Next Gen Squat Pad can still offer great comfort during your exercising. Measuring 18 inches, this is one of the longest barbell pads available out there. Length is specifically important if you are a larger user and need better support of your back or shoulders. As opposed to the Dark Iron Fitness, this pad offers great support for the cervical spine, redistributing most of the weight onto your shoulders, or traps to be more specific. This pad uses a Velcro-free closure, it’s super easy to use and will fit any bar size. Be careful though. The Velcro-free closure is a two-edged sword. Place it properly on the bar or it might come off when you least expect it. Even if the name doesn’t suggest it, the Next Gen Barbell Squat Pad works great for hip thrusts. You don’t need to worry for the pad falling off and the thickness of the foam will make any weight feel like light weight. 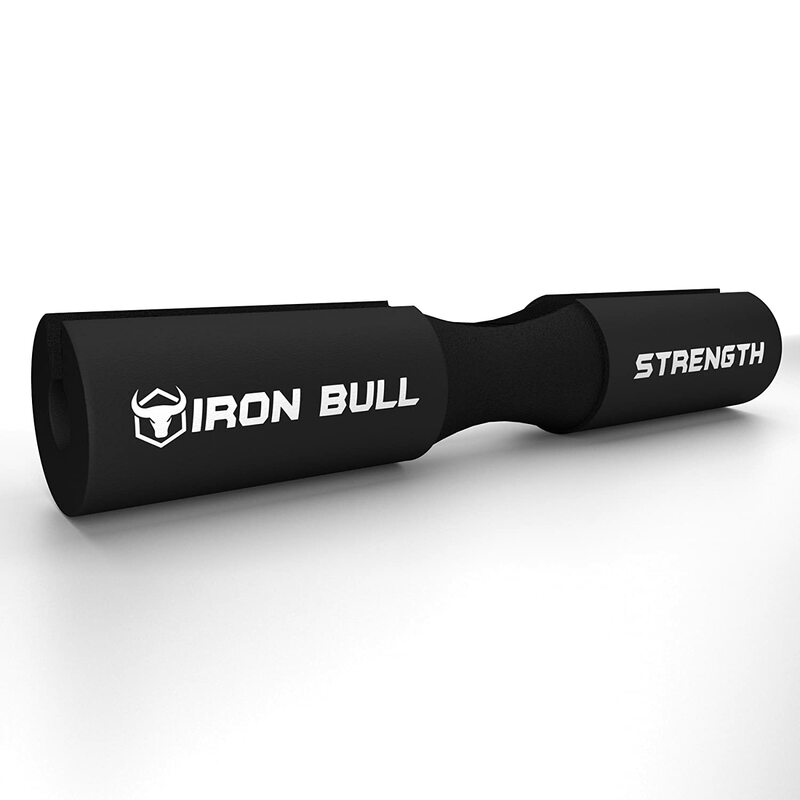 Iron Bull’s barbell pad is a reinterpretation of the Next Gen barbell squat, the only main difference being the size – only 16 inches vs. 18 inches. Due to its shorter length, this product might suit women better, but will also fit easier into most gym bags. On top of the classic black finish, it also comes in various colors, including red and pink, so that’s an extra reason for the females to find this product more appealing to them. However, you might find this product a little bit uncomfortable to use because of its thickness which throws the bar a little bit too far back when squatting. The matte finish of this squat pad will better adhere to the skin making squatting safer for you. The indentation in the middle will protect your neck allowing you to focus on performing the exercise with good form rather than worrying about neck or back pain. Lastly but not least, as with any Velcro-free barbell pads, pay extra attention when you place them on the bar or they might slip off. With 1.25 inches of high quality, high-density foam, this is one of the thickest barbell pads you can get your hands on. This makes it perfect for power-lifters or bodybuilders who like to bend the bar when they are squatting. When you are using a barbell pad this thick you often find yourself pushing more weight than before. That’s because the weight is so well redistributed to your body, that you simply don’t feel any pain and can focus on pushing. Just as with any Velcro-free barbell pad make sure that the part of the pad which allows the bad to be inserted is facing away from your body, regardless if you are doing squats, lunges or hip thrusts. 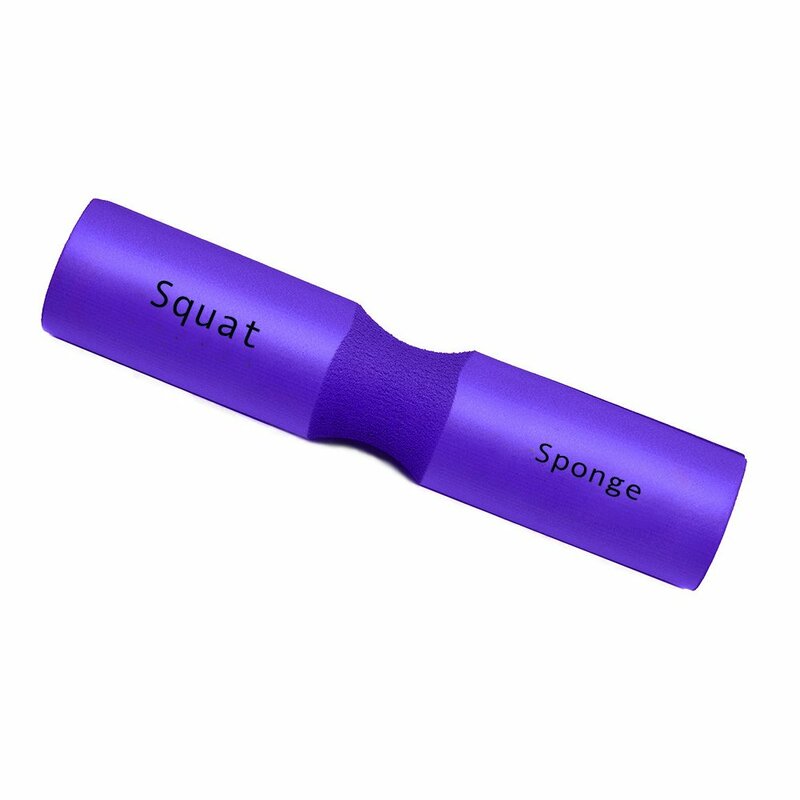 The pad is 18 inches long so you might need to consider buying a larger gym back in order to accommodate this squat sponge. This could be a little bit of an inconvenient. The only downside of this product is the design – but this is quite subjective. This barbell pad is lacking a little bit on the looks. The design is dull and the available colors don’t look that good either. 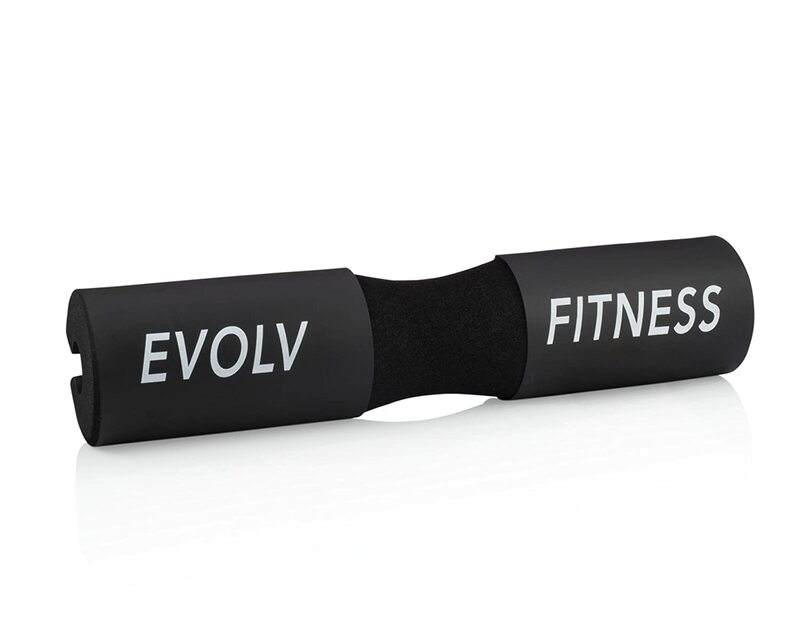 Lastly but not least, Evolv Fitness barbell pad is a bulky 1.25 thick bar cushion to use on those heavy squat days. This pad is specially designed to distribute the weight equally across your shoulders, protect your cervical spine and avoid injuries. It is 100% high-density foam with a little bit of a different, more soft texture around the neck area. The closure is Velcro-free. Speaking of closure, this pad doesn’t really close that much around the bar, regardless of its diameter. It is more like a ‘C’ shape. This is probably happening because the foam is so thick. So you may want to be extra careful when placing it on the bare and make sure it doesn’t come off when you are squatting. 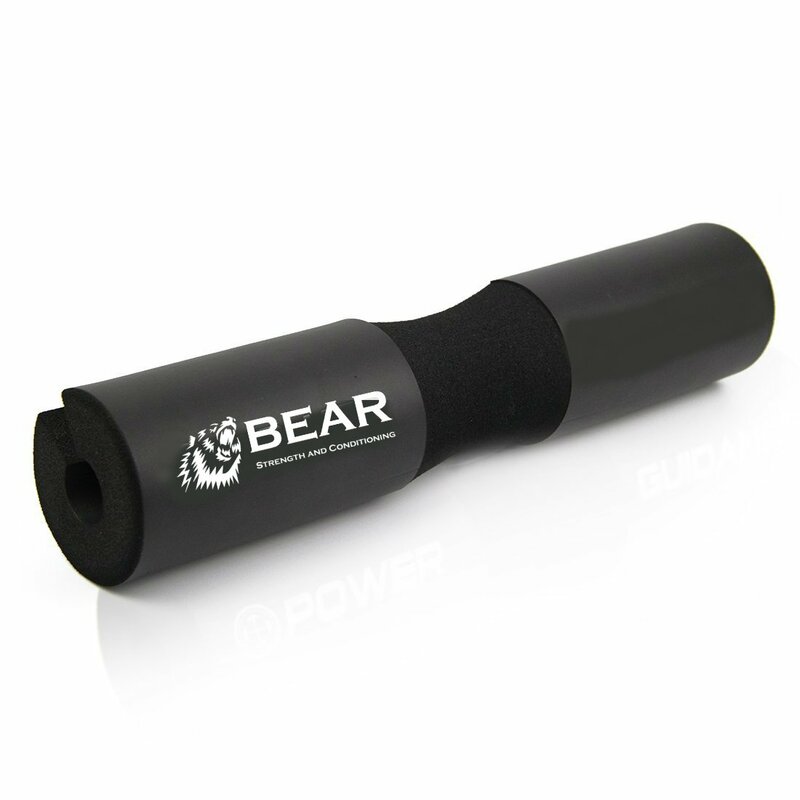 Other than that this product should work great for any type of barbell exercise using both heavy or light weights. To put it in simple words, a barbell pad it’s that thing you put on the bar in order to protect your neck & shoulders when you’re squatting or your hips when you are doing hip thrusts. These are usually made out of high-density foam specially designed for sustaining really heavy weights. Barbell pads come in different sizes – both thickness and length. Moreover, the diameter can vary a little bit, so not all barbell pads will fit all bars. For example, Smith Machine bars are a little bit bigger – having a diameter of 1 -7/16 inches up to 2 inches. While a standard Olympic bar has a diameter of just 1-3/16 inches. As in any topic, there is a debate on whether using a barbell pad is good or not for your workouts, mostly when it comes to squatting. For hip thrusts, a barbell pad is an absolute must. You literally can’t do this exercise without hurting your hip bone if you are not using the pad. Now, going back to the squats, let me brief you on the advantages of using a pad for the bar. First and foremost, a barbell pad will allow you to squat as heavy as you can without feeling any pain on your shoulders, traps or cervical spine. The weight of the bar will be distributed equally over your entire back and you will most likely not feel any pain at all. Most barbell pads which are designed specifically for squatting have a groove right in the middle which will protect your cervical spine. This is extremely important, especially if you think about it in the long term. The weight of the bar pushing down on your cervical spine can result in disc issues over time. Together with perfect form and progressive overloading, using a barbell pad is a great way to increase your squat. This alone is a very important factor to take into account whether you want to use a barbell pad or not. Even though buying a barbell pad can seem pretty straightforward, you would be surprised on how many different alternatives there are available. The first questions you need to ask yourself is – what am I going to use it for? Are you doing just back squats or other exercises as well? For hip thrusts, you might not need a pad with a groove to protect your cervical spine, but if you are squatting (heavy) you may want to look at this feature. The middle groove also helps a little bit with stability. The next important attribute you want to check out is the thickness of the pad. The thicker the better. Usually, 1 inch thick pads are enough for any weight. This will take away most of the pressure and you will not feel any pain. The fabric which covers the pad is equally important. Basically, there are two options: 100% foam pads or polyester covered pads. Generally speaking 100% foam pads have a couple of advantages over polyester covered pads: they are easier to clean and have better adherence. And you really want to consider adherence, if plan on staying injury-free. Barbell pads which are covered with polyester generally have a “not so good” adherence, especially if you sweat a lot. So make sure you check this aspect out when shopping. Foam covered pads, on the other hand, tend to have a better adherence. Lastly but not least, we have Velcro and Velcro-free closures. You can pick whichever you want, but Velcro-free closures are easier to use and faster to put on and remove from the bar. Also, you don’t need to worry about the Velcro starting to wear down. On the other hand, Velcro closures are more secure and safer to use. Obviously, the number 1 reason for using a barbell pad is to squat. This includes both back and front squatting if you want to protect your clavicle and front delts. However there a few other exercises on which you can use the bar pad. Hip thrusts are almost impossible to do without a barbell pad because all the weight will rest on your hip bone. When doing squats the bar sits on your traps, but with hip thrusts, you don’t have anything to protect the hip bone. When doing lunges, the bar is sitting in the same exact position as when you squat, so the reason for using a pad is obvious. Though, with lunges, you will use significantly lower weights, which doesn’t really make the use of a pad mandatory. Doing pause reps is a great way of putting more stress on the muscles without adding more weight. When doing pause-reps on the chest press you will have the bar sitting directly on your chest for 1-2 seconds which can be a little bit uncomfortable. Using a pad (which doesn’t have to be really thick) will add more comfort. With all that being said, let’s look at some of the best barbell pads available and help you decide which is best for you. This is a question that only you can answer. If you are serious about your training and put a lot of time and effort into it, you will probably benefit from using a barbell pad. You will be able to focus on the form and then mind-muscle connection instead of worrying about the pain you get from the weight of the bar. In almost all cases, using a barbell pad resulted in adding more weight to the bar. More weight to the bar means more stress for the muscles which ultimately will lead to muscle hypertrophy. If you are doing a lot of heavy squatting you may want to get a ticker pad. If you don’t lift super heavy though, or if you are doing just lunges or hip thrusts you may want to look at a less thick and bulky barbell pad. Many gyms have a couple of old barbell pads laying around, but most of the times these are either low-end models or are excessively worn-out. On top of that, from a sanitary point of view, you will probably better off with your own personal bar pad. For a price range of $20-$30, you will have a wide range of products to choose from without compromising on quality at all. These pads really seem a good value for money. 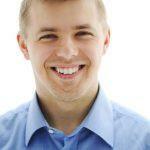 Thanks for the educational post and the excellent review!